It is hard to believe this California native was once too shy to sing in front of anyone including her own family and friends. That all changed after Kristin Rose Kelly graduated high school in a small town in southeast Iowa. She had always been well known as a portrait artist and painter and felt like it was expected to become an art teacher or try to work for Disney as a character designer, although her passion to write music secretly welled within. She ignored her heart at first by going to an art school, purposely picking a college in a different state to soak in new culture. After graduating from computer animation school in Arizona, Kristin moved to New Jersey where she met another songwriter who motivated her to overcome her stage fright. Self taught on the guitar, and secretly singing since an early age, Kristin then decided to take up an offer to train under Jody Joseph, cousin to the famous rock icon Jon Bon Jovi, where she helped Kristin find her true voice, style, and confidence. 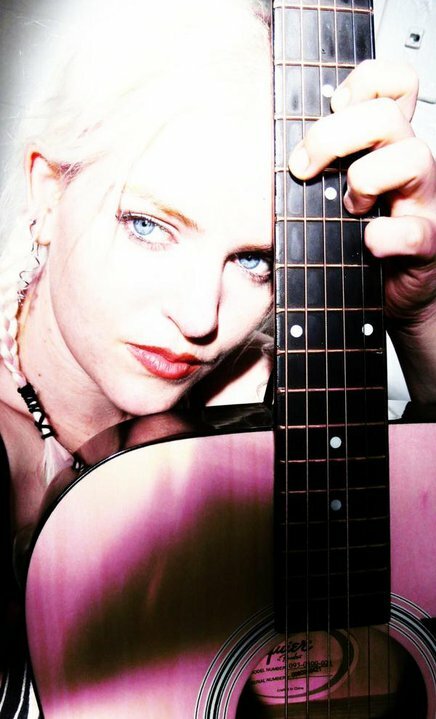 Kristin then cut her teeth in the music world when she decided to move to Alabama and start her own all female original rock band “The Scarletts” touring mostly through Birmingham and Atlanta. Chicago was calling Kristin after a few years where she currently shares her music and art. Recently nominated for an Emmy by the Mid-West chapter, she credits her songwriting to the melting pot of soul experience from each place she has ever set foot. Kristin is soon to release her first finished album titled named by her song “Pantyhose” an empowering anthem for women of all kinds in late fall. Kristin will perform at Schreiber Park on August 2 at 1:30 PM.